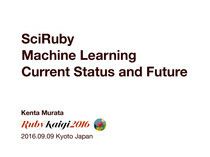 This talk was presented at Ruby Kaigi 2016, Kyoto. It is a small demonstration about the capabilities of daru and what it is capable of so far. 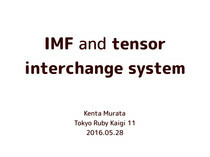 By the end of the talk I have also given a small demo.